Zebra Technologies are known from producing fast yet affordable plastic ID card printers. Zebra have incorporated extra features such as encoding options into their printers to provide a variety of ID cards. Zebra have a range of printers available such as the Zebra ZXP Series 7, Zebra ZXP Series 3, Zebra ZXP Series 8, Zebra P330i, Zebra P430i, Zebra P110i & the Zebra ZXP Series 1. If you would like to know more about Zebra or their models of plastic card printer feel free to contact our team on 0333 7000 123 or email enquiries@lesar.co.uk for all other ID card printers click here. The Zebra ZXP is the fastest Re-Transfer Printer on the Market. 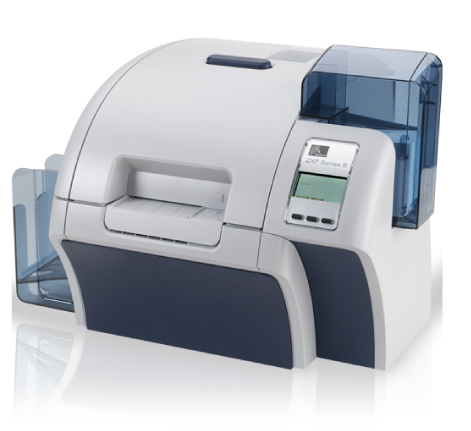 With the ability to print single/double sided ID cards, this printer can adapt to your exact specifications.